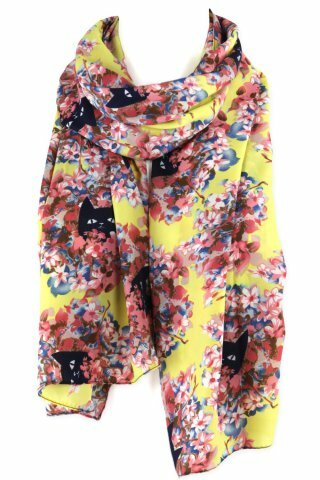 This beautiful feline floral scarf only reveals your love of cats to those who look closely. 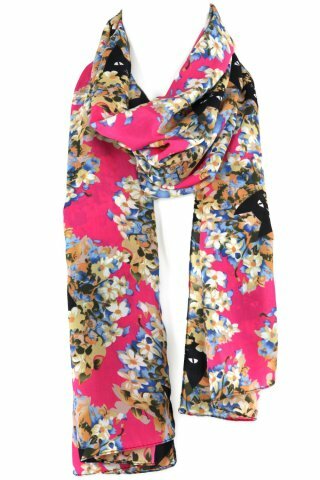 Available in three vibrant colors, the scarf's floral pattern is noticed first an foremost. Only when one glances again might they notice the playful black cats peeking from the garden! This gorgeous scarf is 66 X 18 inches, giving you plenty of fabric to wear the scarf a variety of ways, including tied, draped, and pulled through. For more information about the kitty cat surprise scarf, click here.